Cima Genovese is a flavorful dish from the cucina povera cookbook. 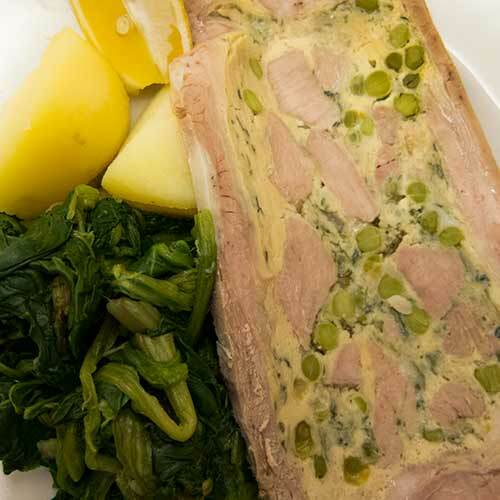 It’s a tied-up piece of veal stomach filled with swiss chard, ham, pine nuts, eggs, grated cheese, onion, herbs (especially marjoram), and other aromatics—and possibly other offal, usually brain and sweetbreads as well as other bits of veal there might be laying about. After it’s cooked it’s weighted so that it comes out in a flattened circle from which slices are cut. It’s quite a tasty dish, and quite complex to make.